I’ve been pretty busy the last 2 months, I moved into a new house and even changed gyms. Newer still is a few BJJ clothing items I picked up recently. One of my favorite BJJ brands is Underoath BJJ, I currently own 5 of their shirts. Two of those shirts I just got the other day and are pretty sweet. 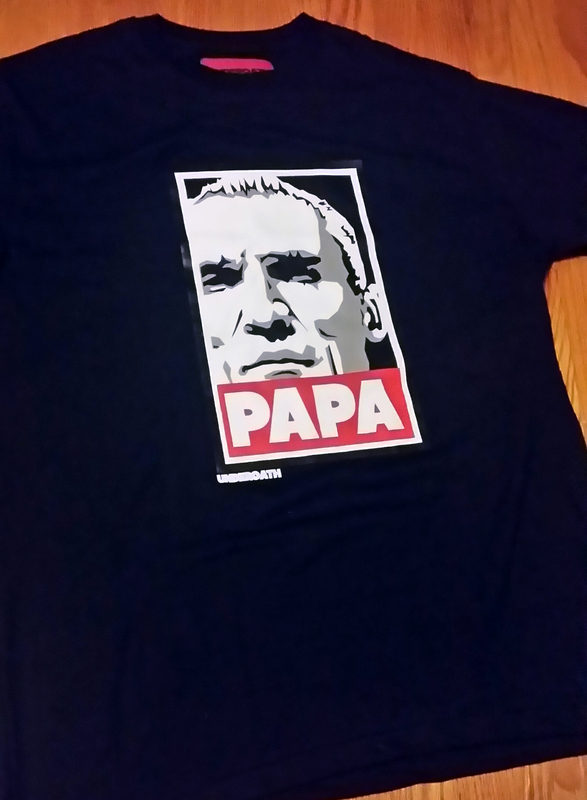 One of the reasons I love their t-shirts in particular is the extremely durable printing method they use on the T’s. Paired with solid designs and a comfortable t-shirt, you’ve got a recipe for awesomeness. 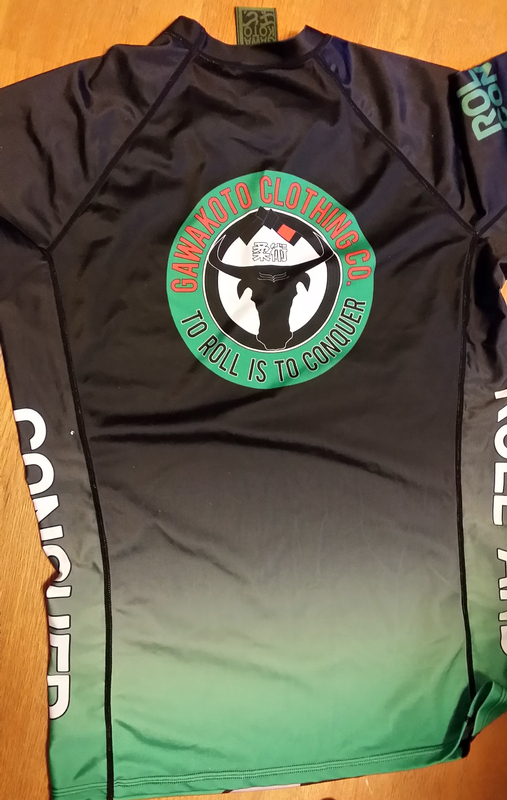 I also was able to pick up a Gawakoto Kalabaw rashguard from RollMore.com. Beyond having some really good deals on gear overall, they also have a 60 day Warranty on Gis, even if you’ve washed or rolled in it. That’s pretty sweet. Especially considering how hard it can be to find a gi that fits just right. Not only that, but it’s free shipping and 2 day air shipping for Gis. BOOM. As far as distributors go these guys are doing it right. 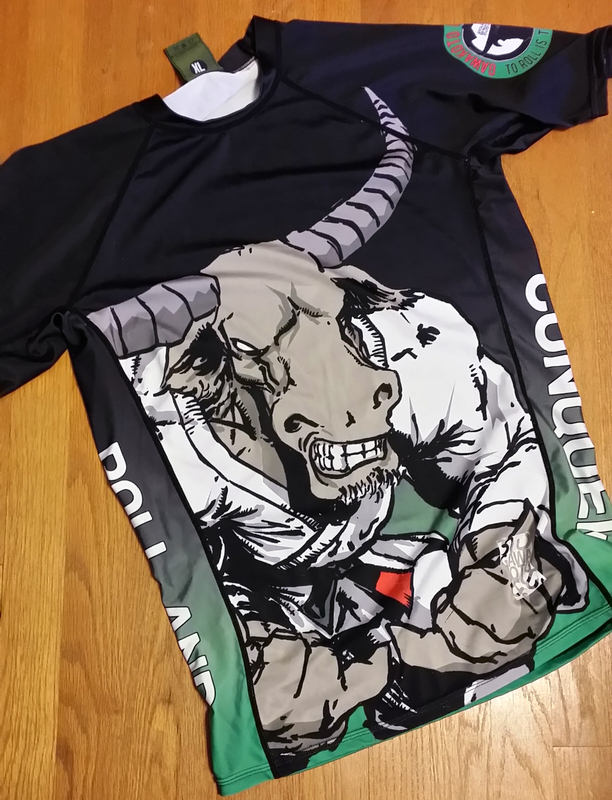 I’ve heard (correct me if I’m wrong) that Scramble makes Gawakoto’s rashguards, so if those fit you well this could be another good option for you. I’m 5’10 and a luscious 215lbs since my surgery so I got the rashie in an XL. It fits great. I’ve had some really bad issues with certain brands in the past in regards to fitment and quality and this Gawatoko rashguard was great all around. The sublimations look beautiful and it fits like a glove. I’m a bigger fan of long sleeved rashguards but it’s summer right? Suns out, guns out. Since I mentioned it, I wanted to give reasons why I dislike the NOGI, Kaizen and Manto rashguards so much. 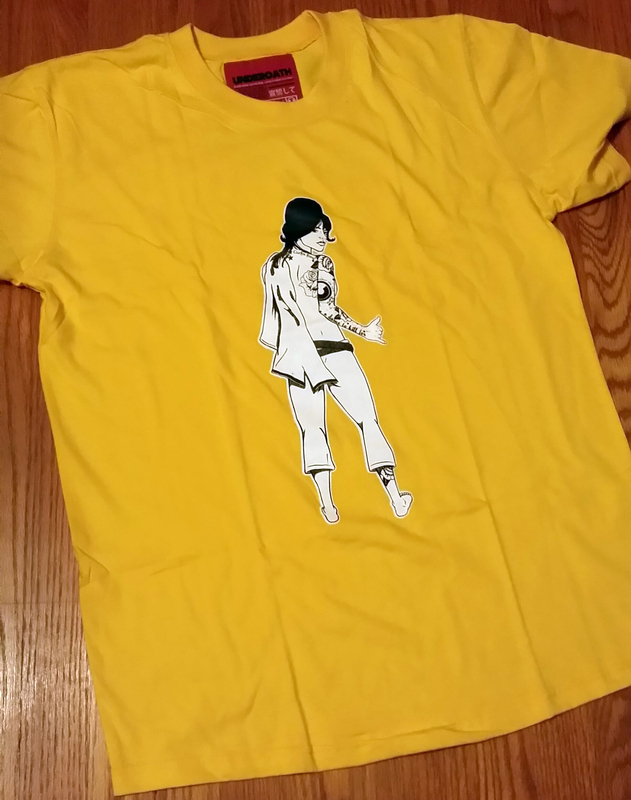 The NOGI and Kaizen were clearly made by the same people (Budovideos owns NOGI AFAIK) and the lettering came off in one wash and it fit like crap. The Manto didn’t have that issue (I bought the TapCancerOut rashguard) but it’s neck opening is seriously wide and the body was definitely made for someone with a super long torso.